Wonderful, cozy, clean, convenient. Host is very nice. Great place to stay in Santorini. The rooms/bathrooms are clean, and Vicky (the woman running the hostel) takes the time to learn everyone's names and explain the area. Each morning, she brings you coffee/tea and a small breakfast. The hostel is super close to a very pretty black sand beach with lots of good restaurants and bars. It's not in the main, touristy parts of Santorini, but it's easy enough to get to those parts by bus (~20 min). 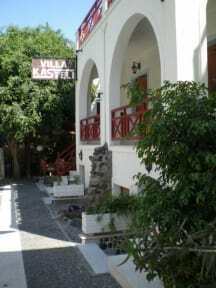 The entire Villa Kasteli team is amazing! My stay was extremely pleasant. The location is very nice, close to the beach. Really enjoyed my stay here! 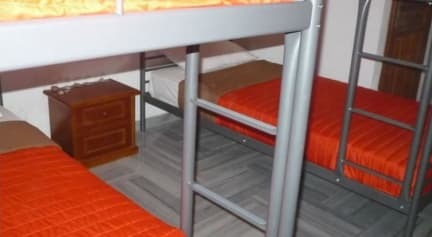 This was my first hostel stay so I don’t have a lot to compare it to. Vicky is very accommodating and provides free toast sandwiches in the mornings. Not the best atmosphere for solo travelers to meet and mingle with other solo travelers. Great location right by Perissa beach (3 minutes away) and the buses make getting to Fira and Oía simple. Overall happy with my stay in Santorini. Great location, really clean and lovely hosts! Complementary large bottle of water in arrival and cheese and ham toasties for breakfast every morning! Not a lot of atmosphere but other than that can’t fault the place! !